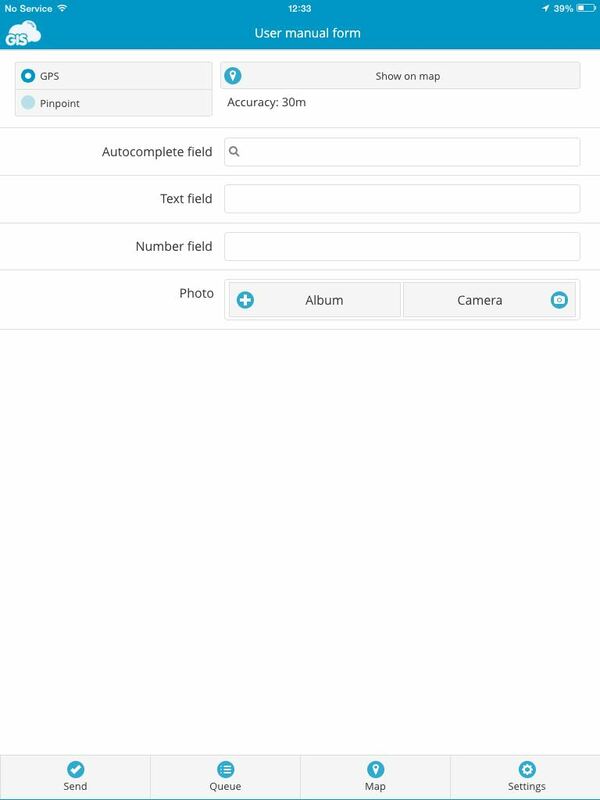 After the form is created, it is necessary to create a custom form which will be displayed in the mobile device and make the data collection easier. 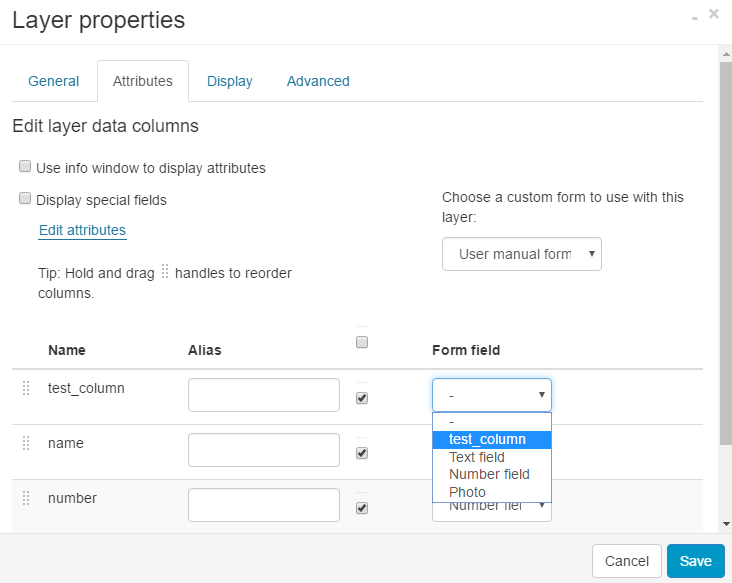 A custom form can be created in Mobile Data Collection Portal or Map Editor application using the Forms Manager tool found in the Tools tab. When you add or create a point layer in your map, you can choose that point layer to be a template for the form creation. 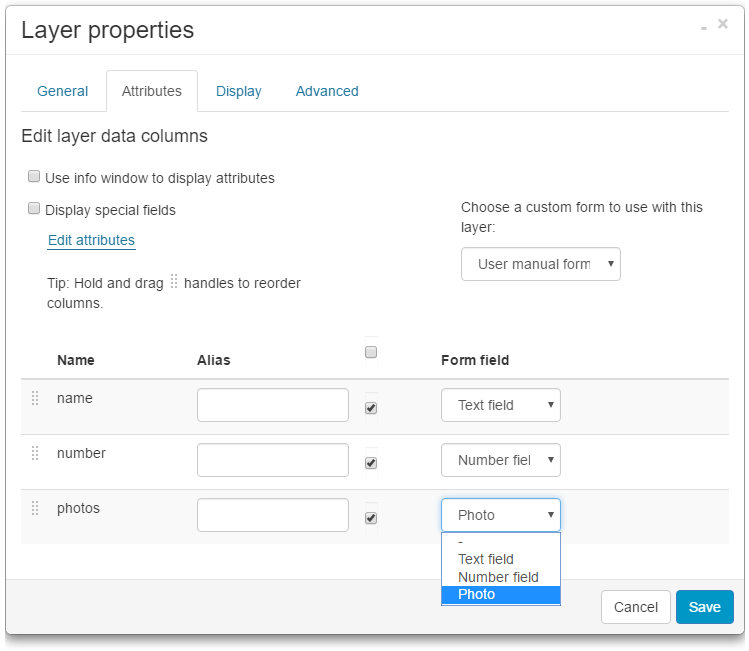 In the Create from layer option choose the layer and the form with the attribute fields will automatically appear. Write a form name and title. Form name will appear in Map Editor, and form title will appear in MDC on the mobile device. Add form items by choosing from the drop down list. 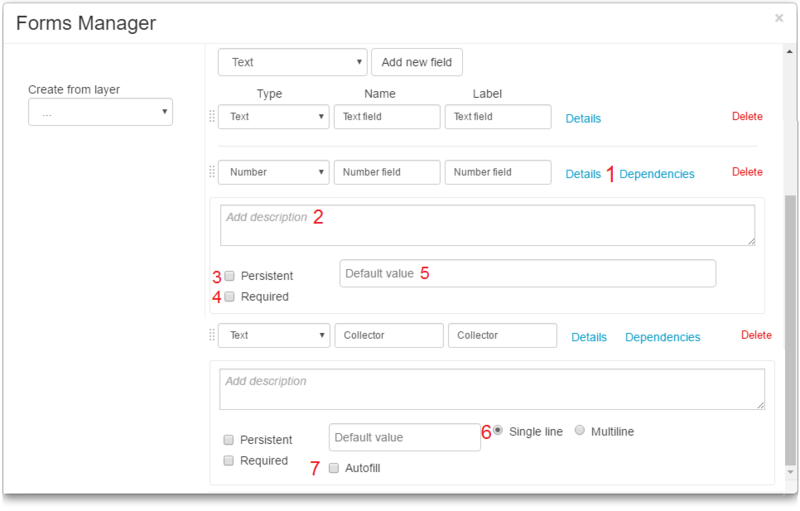 Dependencies dependent fields will appear in the form if the rules are satisfied. Persistent which remembers values from previous submission. Required which means that the submission can not be sent unless this field is populated. Default value which is one of the values in the form or the default value. Single line/multilne which allows you to write in a single line/multiple lines (for Text field). Autofill auto populate the field based on previously inserted values. More info here. Join each column with the corresponding form field from the drop down list e.g. column name is text_field, then from the drop down list Text field should be chosen. 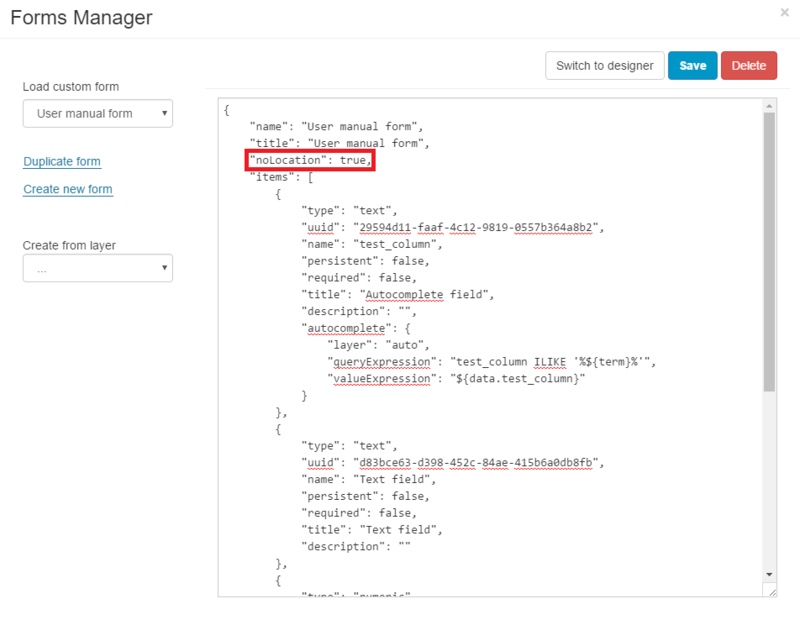 You can also add some additional fields into the form but note that after that, you need to add these fields in your point layer (this can be done in the Database Manager) and attach it accordingly. Refresh map and form on your mobile device and start collecting data! 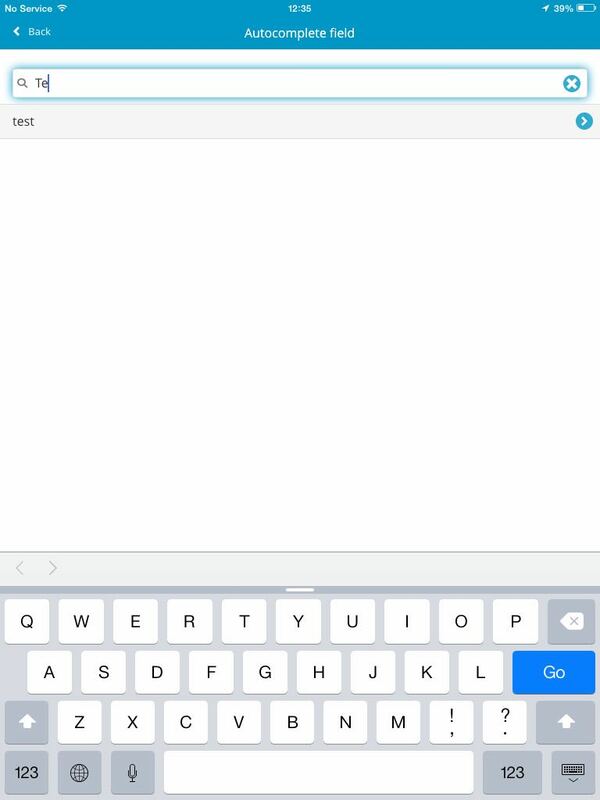 An autocomplete text field can hold a list of fixed values and can work offline. The values can be searched in the form using a keyboard. Here you can find a full example of this form field which can be pasted to any user form. 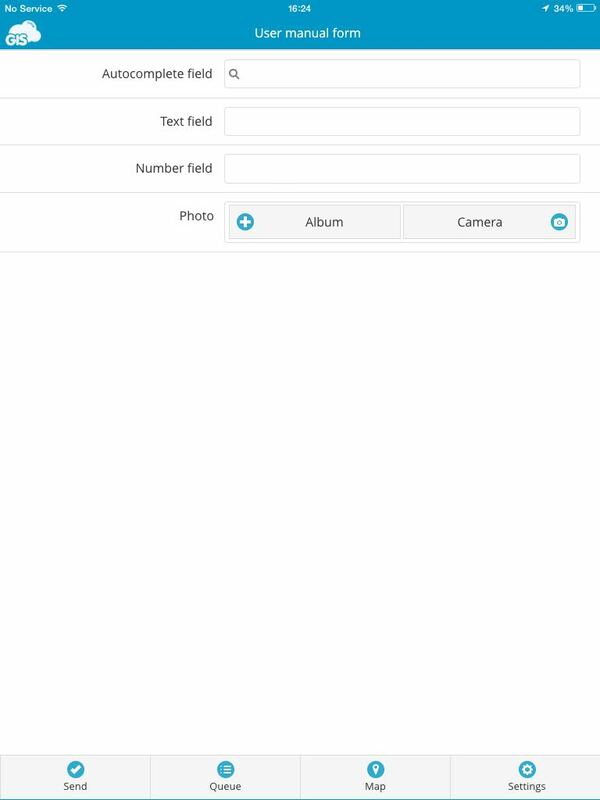 Don’t forget to attach this form field to the layer as described above. Autofill retrieves the data from the closest point on the map based on the current position and fills the text box. 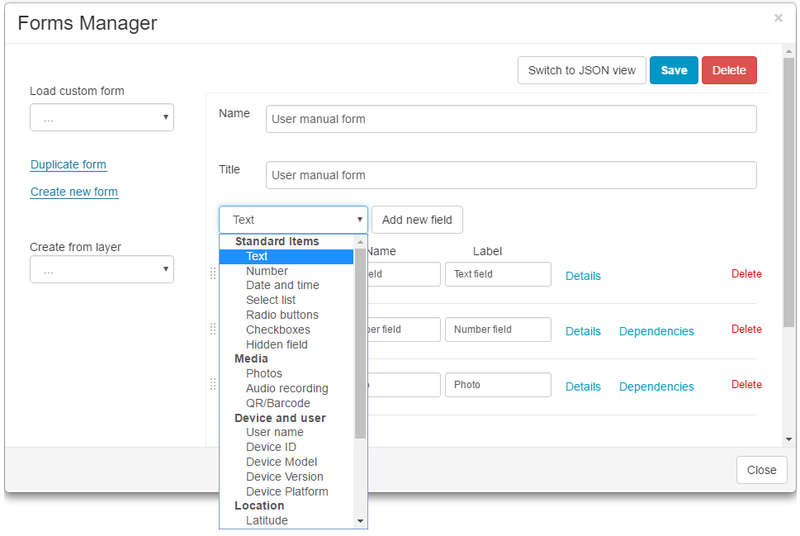 Autofil option can be added and edited without changing the structure of JSON. For more info click here. From the drop down list select the form or create a new one. Note that forms created in Mobile Data Collection Portal (MDCP) are not editable. If you want to use the form created in MDCP, duplicate and save it. Add comma (,) after the last bracket ( } ) if there are more form items after the autocomplete item. 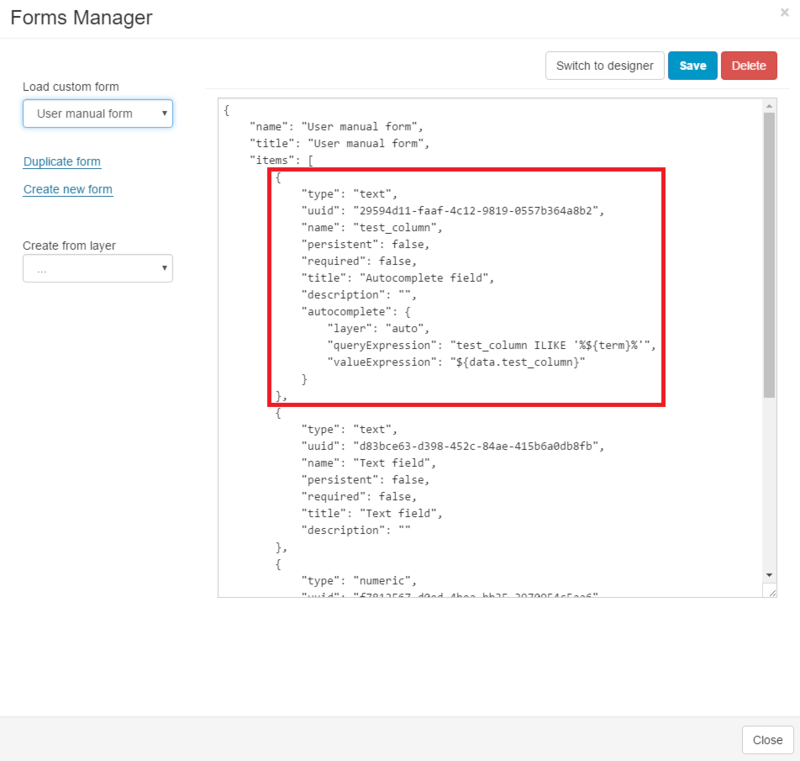 Rename column from test_column (bold letters in syntax above) to the column name where Autocomplete field will be connected and stored. In the Layer properties, under the Attributes tab select Autocomplete field from the drop down list next to column name and click Save. Layer and form in MDC on the mobile device should be auto-refreshed within a few minutes, but you can manually refresh them in MDC Settings. 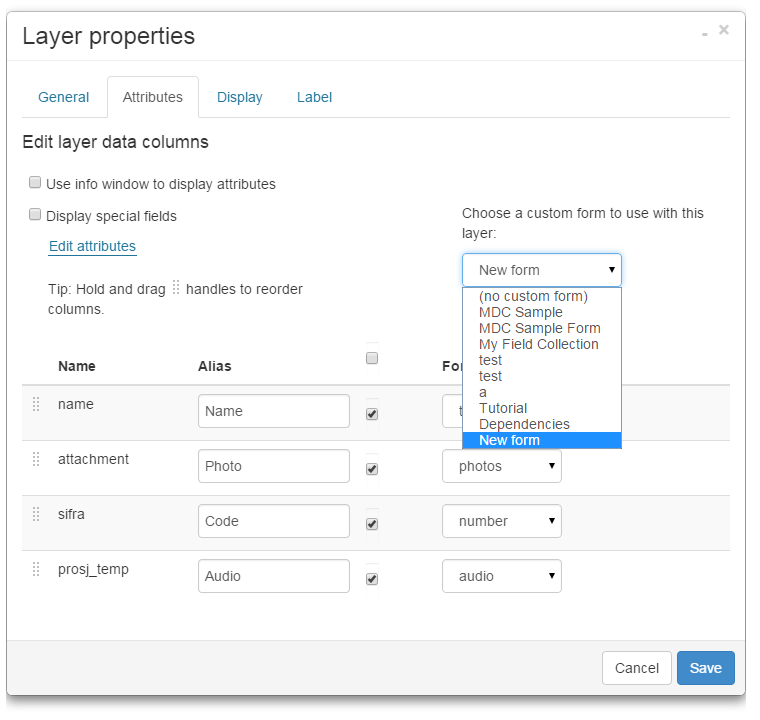 If layer is set “auto” in autocomplete item definition, autocomplete data will be shown from the layer with which the form is connected. You can set any database layer from the map by renaming “auto” in the layer name as it is written in Database. It is also possible to set list of items that will be auto populated. Autocomplete will work as a select list with autocomplete search for those items. This option is useful for layers with large amount of data e.g. list of towns. It is possible to send points without location information with Mobile Data Collection app. Open the map in Map Editor. From the drop down list select the form or create a new one. Note that forms created in Mobile Data Collection Portal are not editable. If you want to use the form created in MDCP, duplicate and save it.